Please sign up for the Oct. 18 Fun Run! The Parkview Foundation Fun Run is Sunday, Oct. 18th. 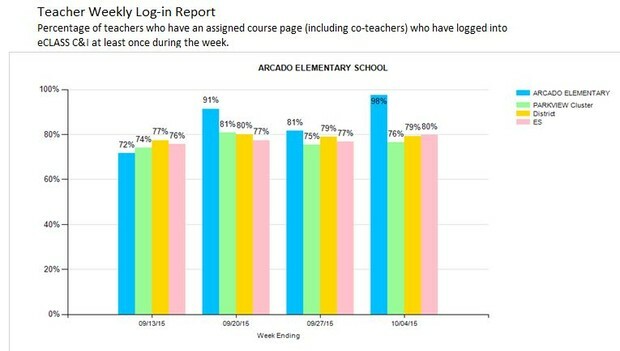 Arcado currently has 9, yes 9...participants signed up. This is the foundation's main fundraiser for the year!! Foundation money goes directly to academic priorities. Please consider supporting by participating in the Fun Run! The mission of the Parkview Cluster Foundation, PCF, is to support, enhance and enrich the academic and arts programs for students attending schools in the Parkview Cluster by providing funding to extend and supplement opportunities for students, teachers and administrators. 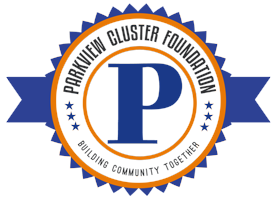 The Parkview Cluster Foundation’s grants are made possible by a partnership between our cluster schools and the parents, businesses and residents of the Parkview community. The goal of the grant awards is to promote academic enrichment, growth and excellence for the Parkview Cluster’s students and schools. Foundation grants support educational needs that provide for advancement and distinction for our cluster schools when other funds may not be available. This week, we will send out the Technology Integration Pre-Assessment. You will need 5-10 minutes to complete the assessment. Once you complete it you will input the information into your RBES goal. Remember to add the TIM staff development in your implementation plan. Your goal is to have your RBES complete by Friday, October 23rd. Essential questions are very general, broad questions that often and remain posted in the classroom 5-7 days. EQ are not specific enough for a student to be able to tell you the focus of the days lesson and know if they are learning. 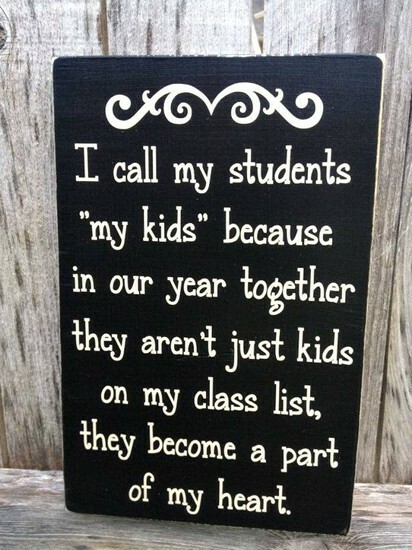 Learning Targets are focused on what the students will know for that day. Teacher and students will know what and when they have learned. LT have a sharper focus on the knowledge and skills to be learned. Here at Arcado, we are focused on transitioning from EQs to LT. Our goal is to be in full implementation of LT 3rd quarter. During 2nd quarter, during collaborative planning, we will practice deconstructing standards. As part of that process we can determine effective LT and write them in student friendly language. Did you know there is a WORLD of technology resources in the C&I application? 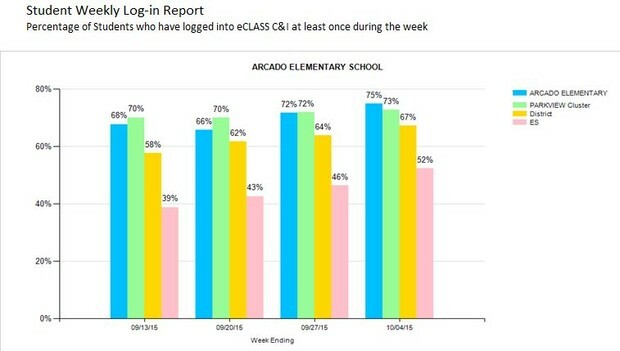 The graphs below show teacher and student eCLASS usage over the last four weeks. We are the blue bar graph. Thank you for your commitment to implementing your course pages. A BIG thank you to those teachers who are using the page to communicate with parents!!! So I hear you want a Poster Maker?